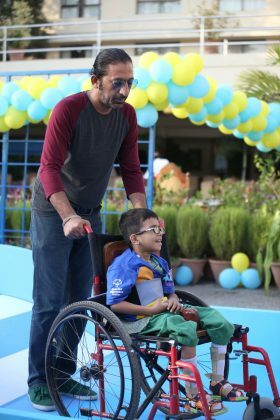 Children’s healthcare, in most parts of The World is considered vital in making a powerful society and so has been the case with Pakistan. 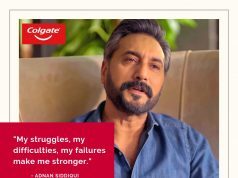 Brands like Blue Band Margarine, have always provided the children and youth of Pakistan with essential vitamin and mineral enriched products for their growth, stability and strength. Blue Band recently started a campaign with the slogan ‘Achai Barhnay Do’, where they gave special attention to differently-abled children. The basic purpose of this campaign was to create a bond between the differently-abled children and other children by promoting the inclusion of differently-abled children into our daily lives. 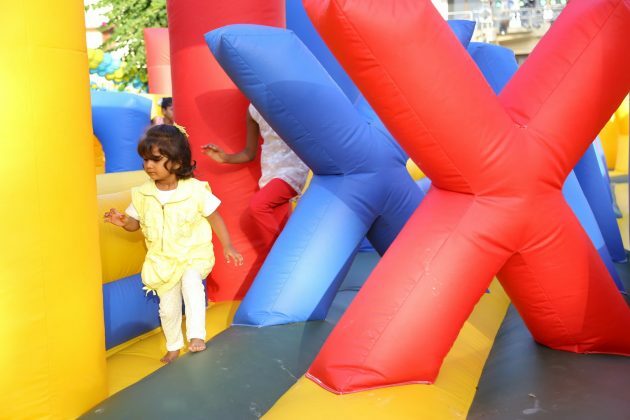 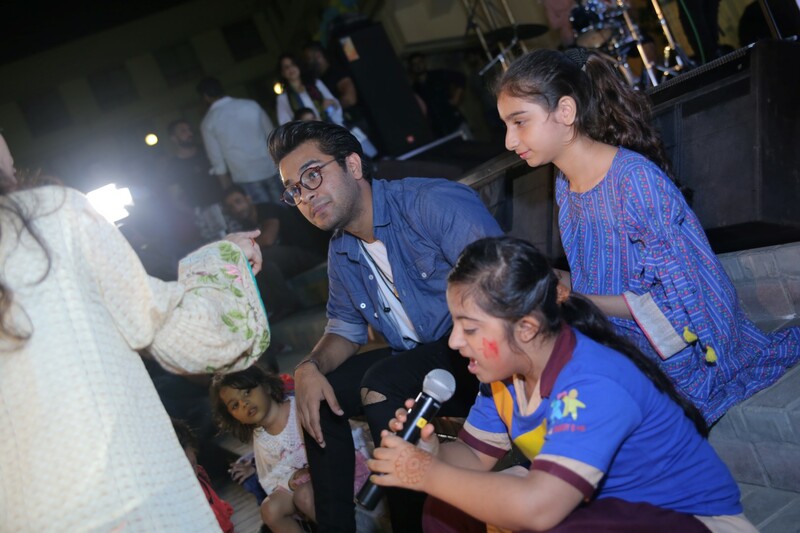 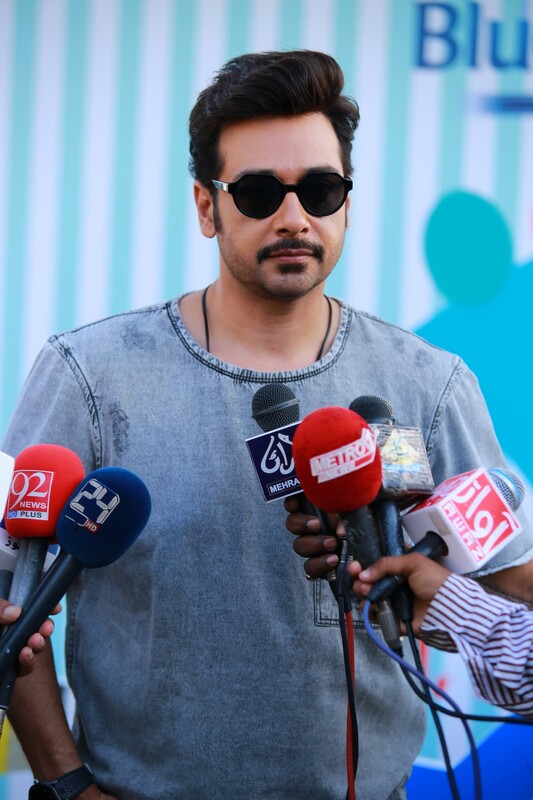 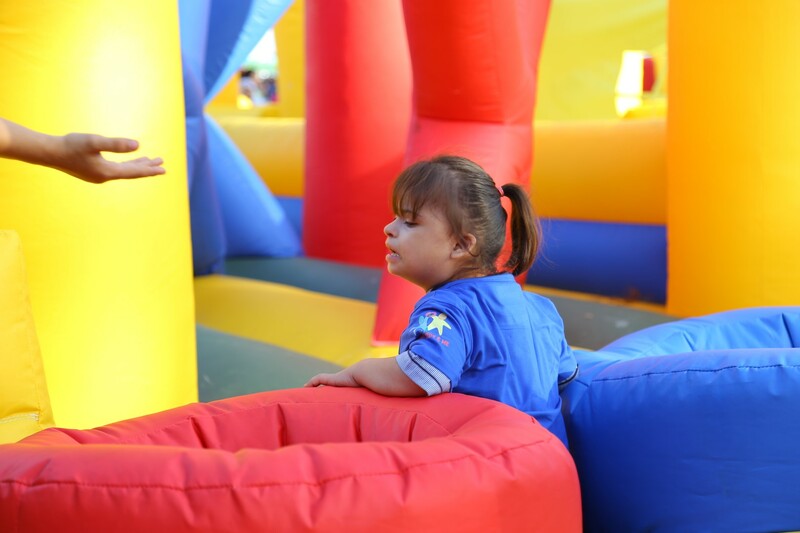 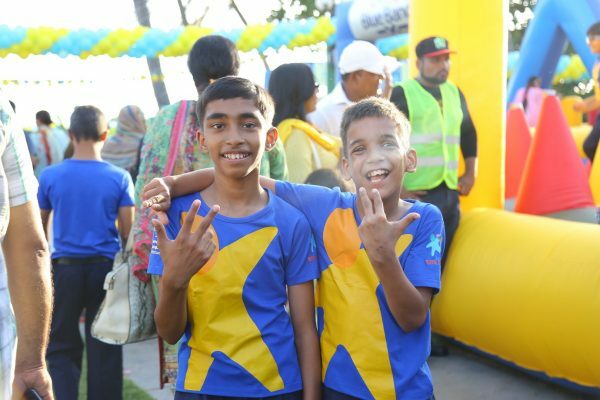 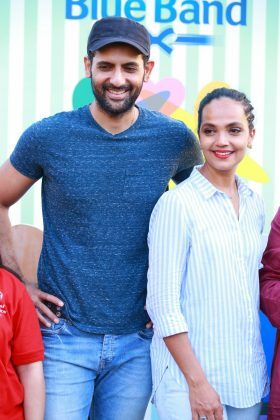 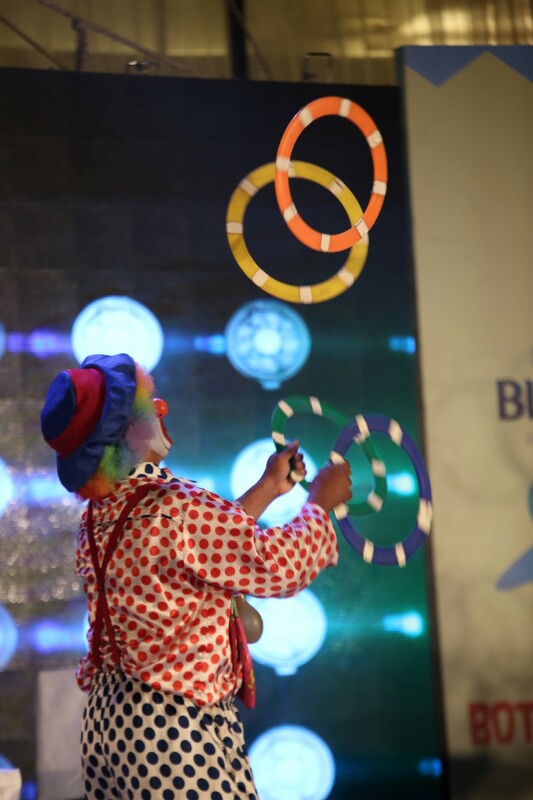 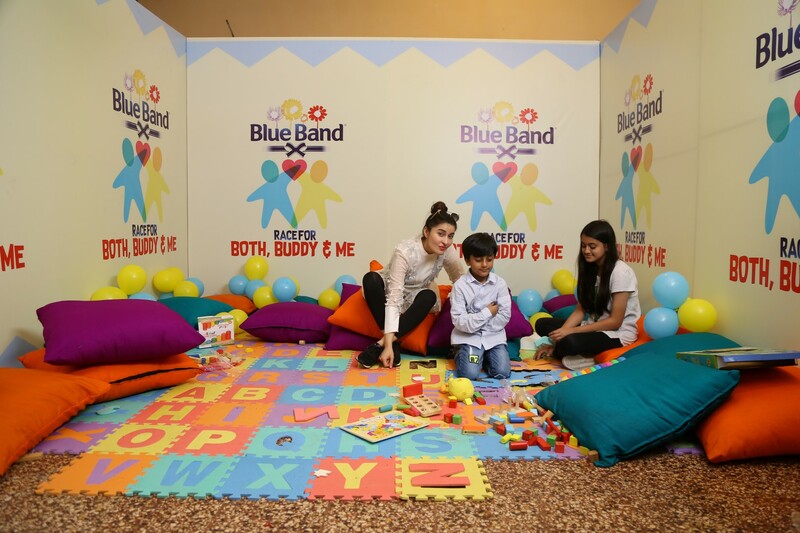 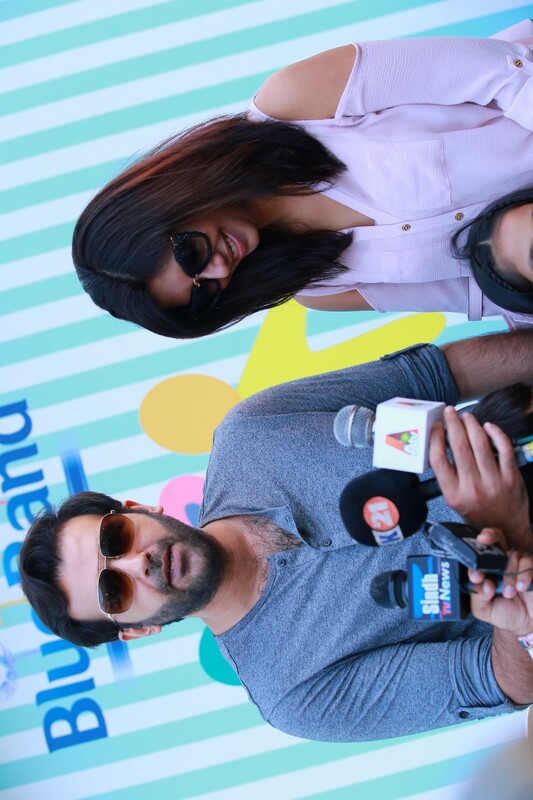 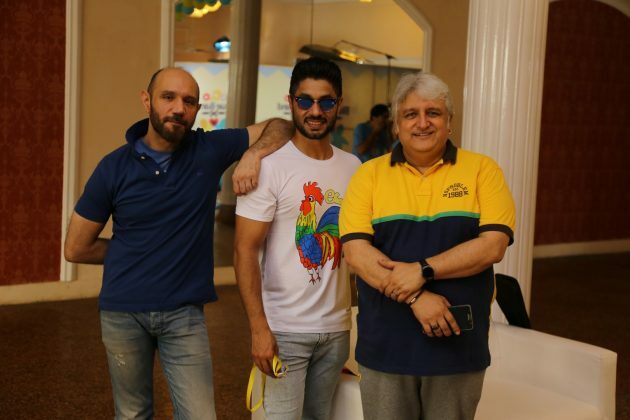 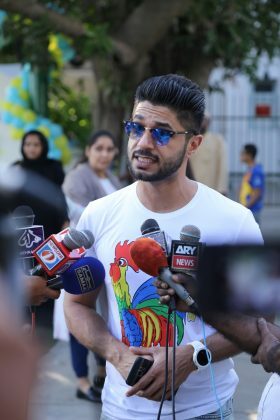 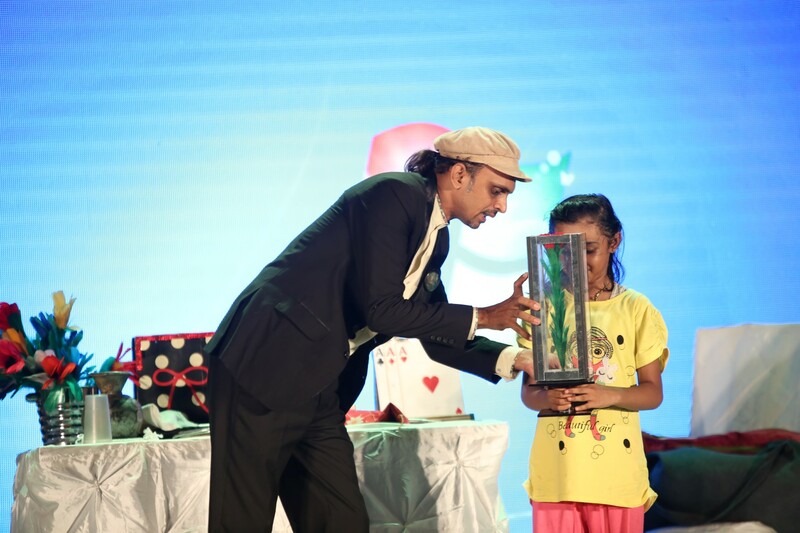 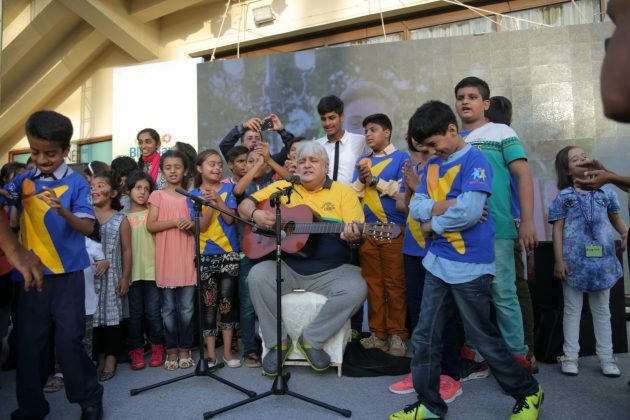 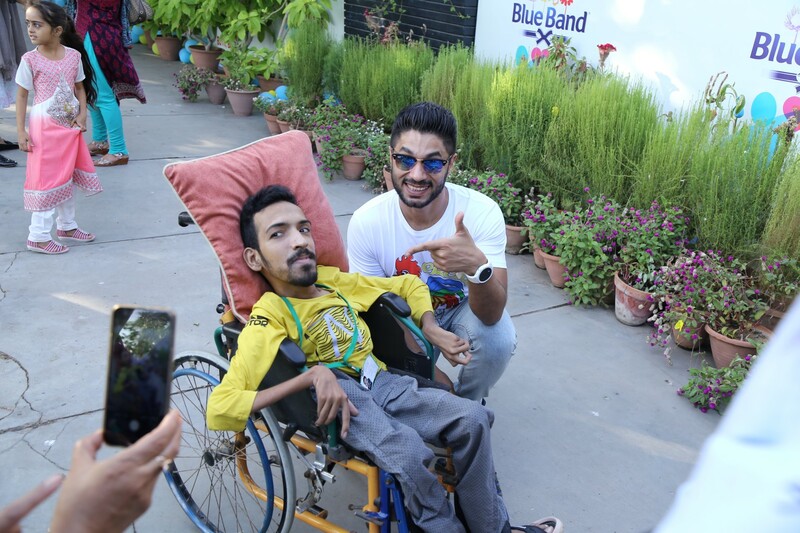 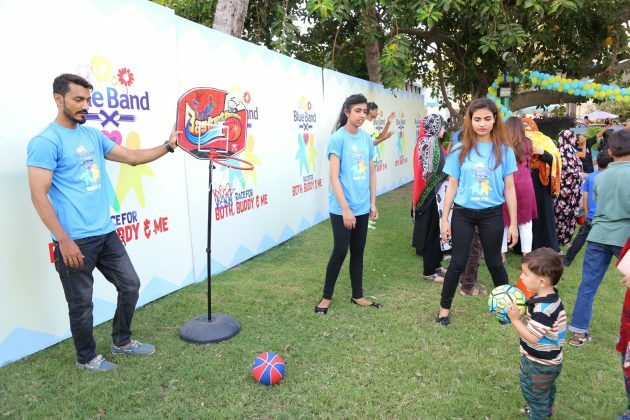 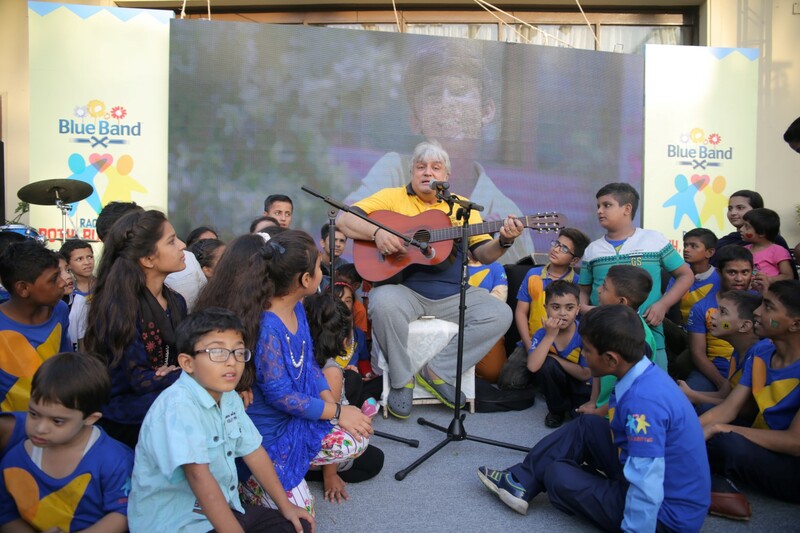 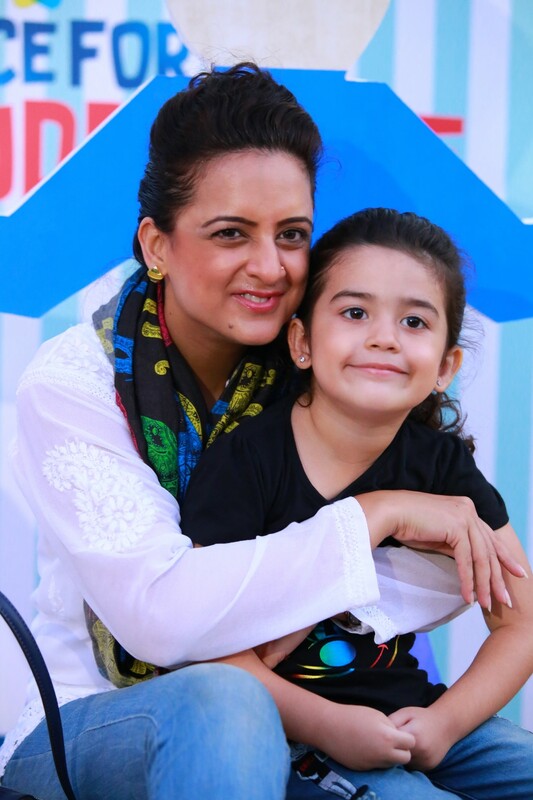 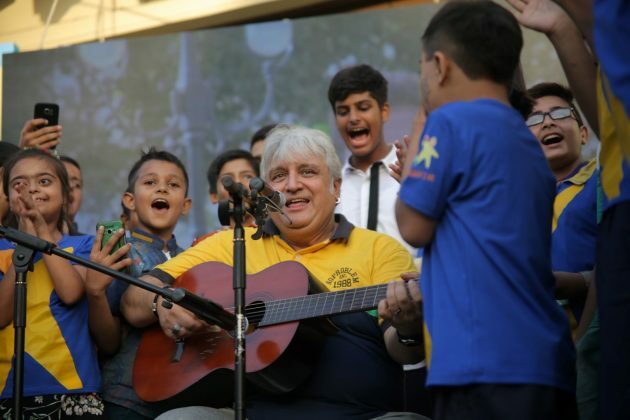 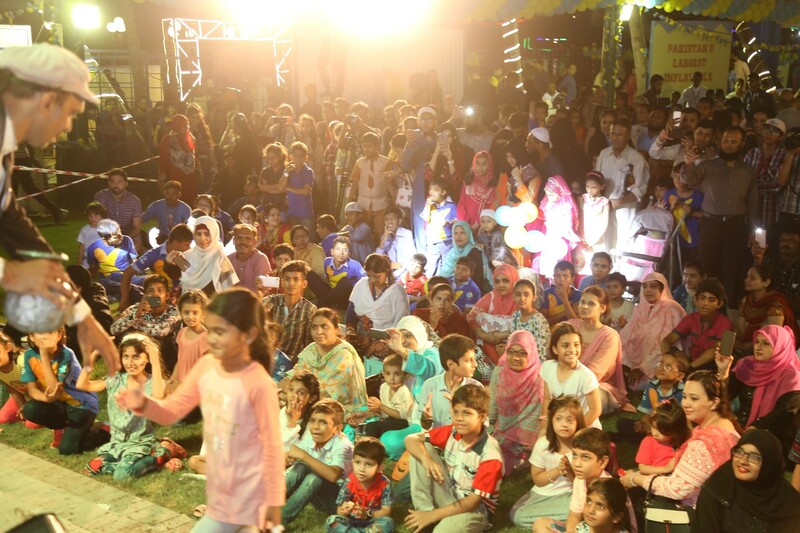 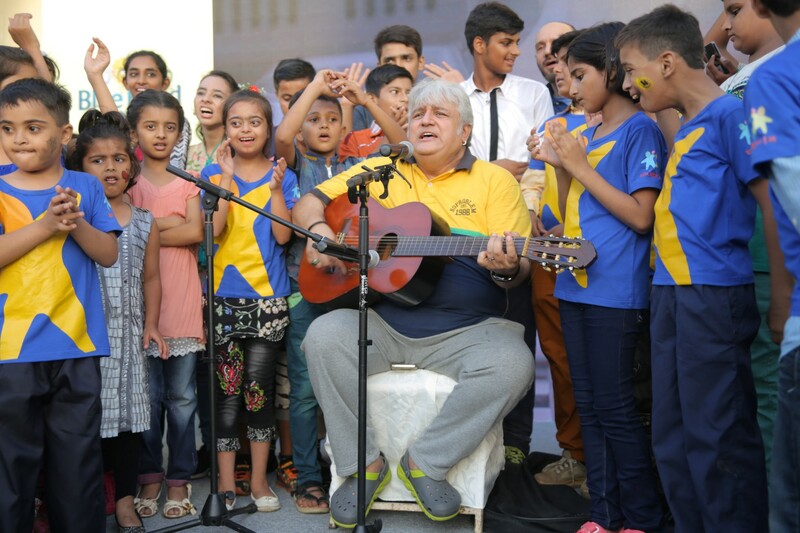 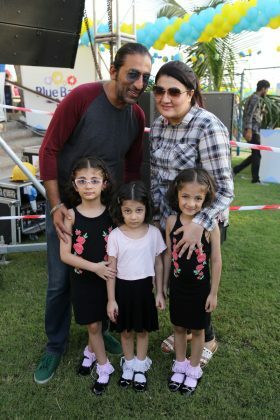 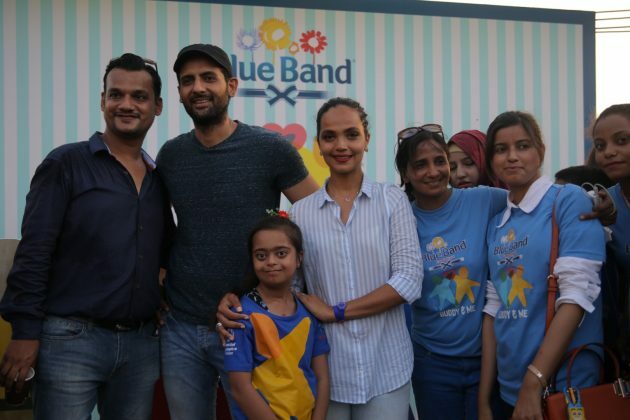 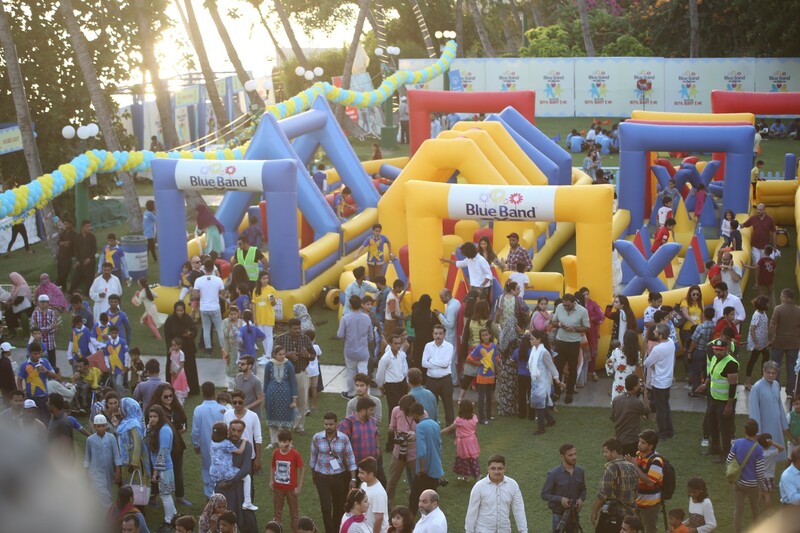 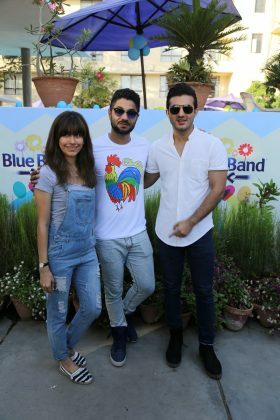 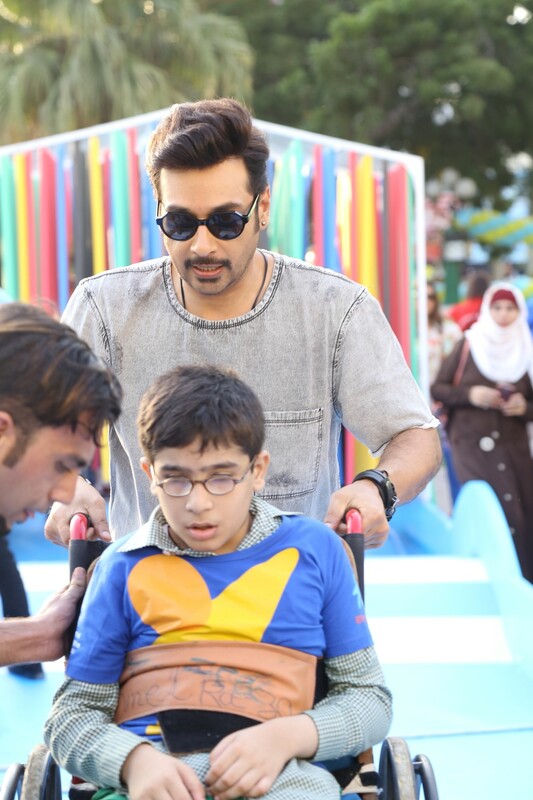 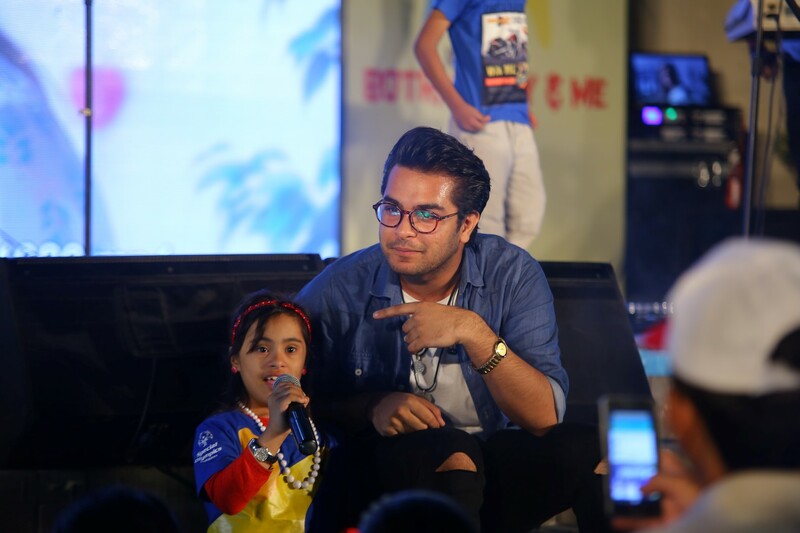 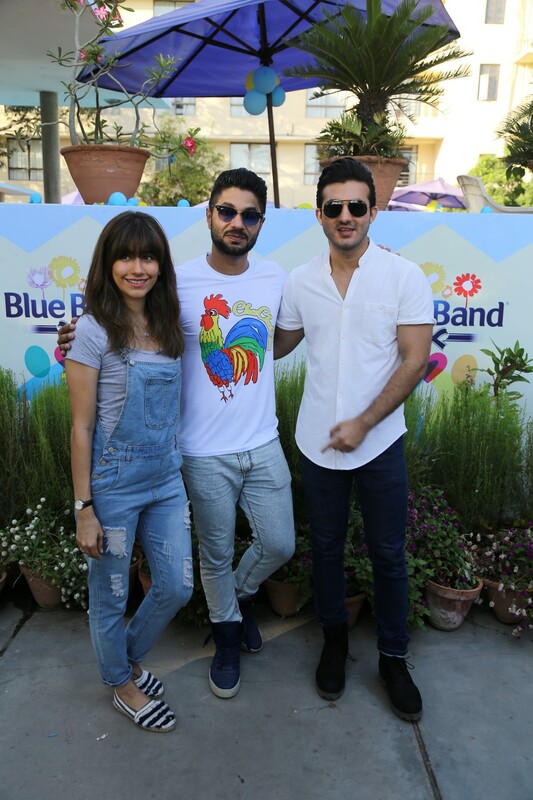 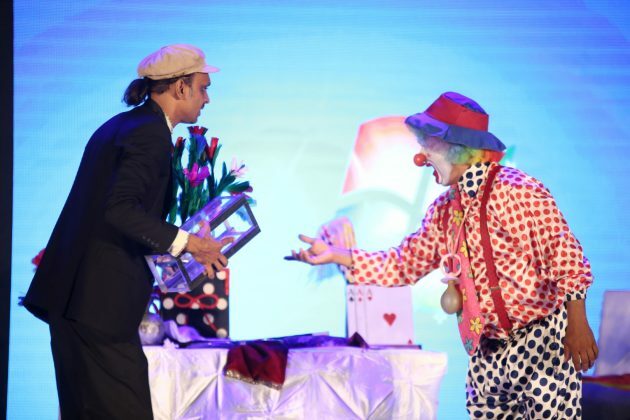 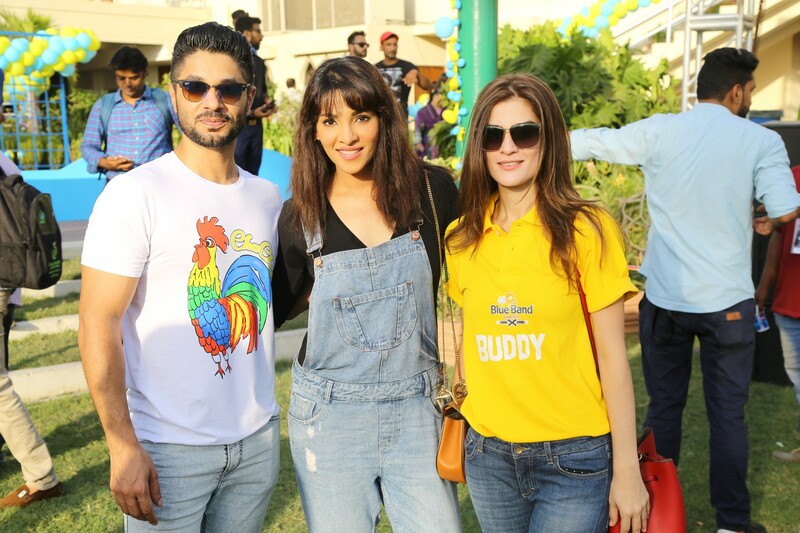 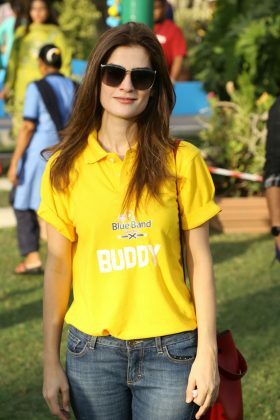 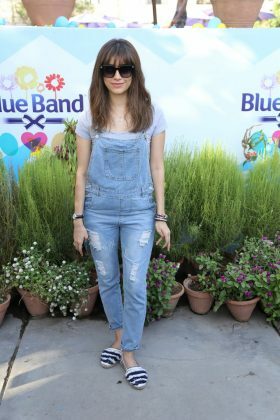 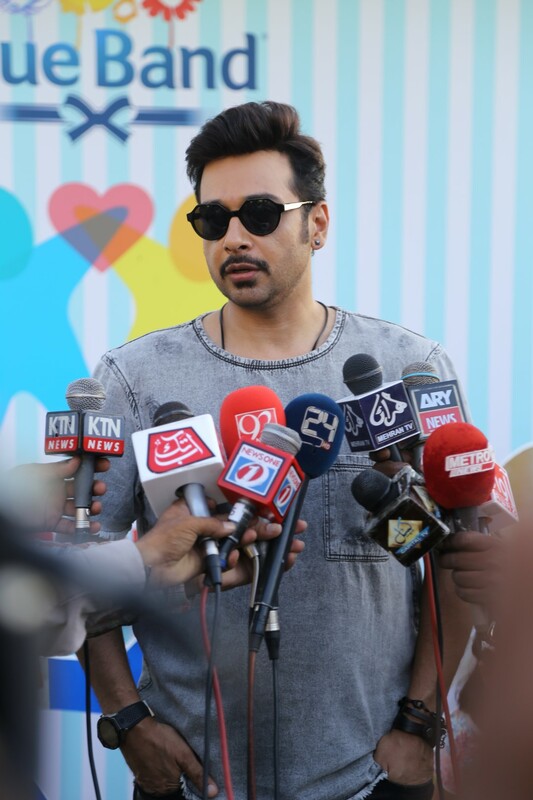 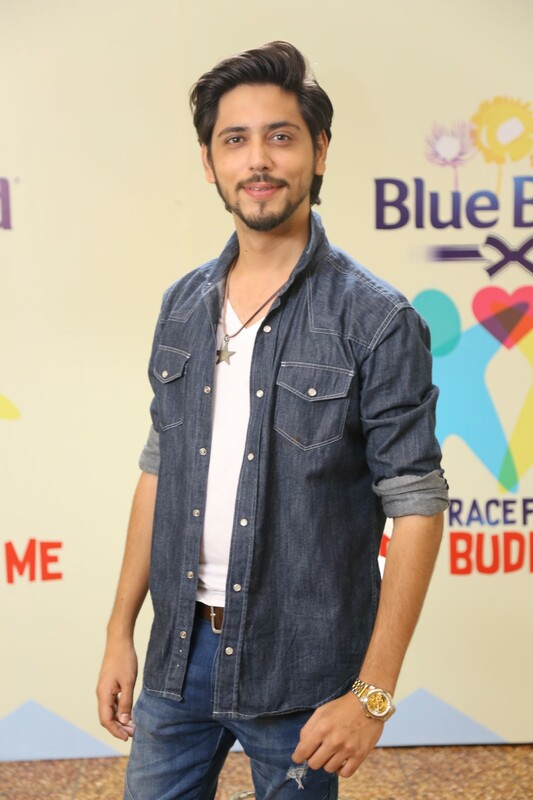 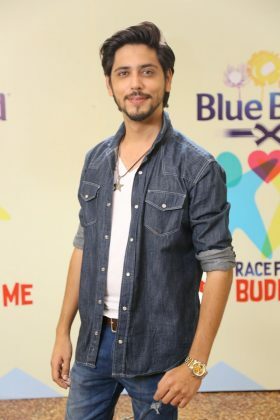 As part of the campaign, Blue Band Margarine, in collaboration with Special Olympics Pakistan, organised an event called ‘Both Buddy & Me’, held at Beach Luxury Hotel on the 17th of September. 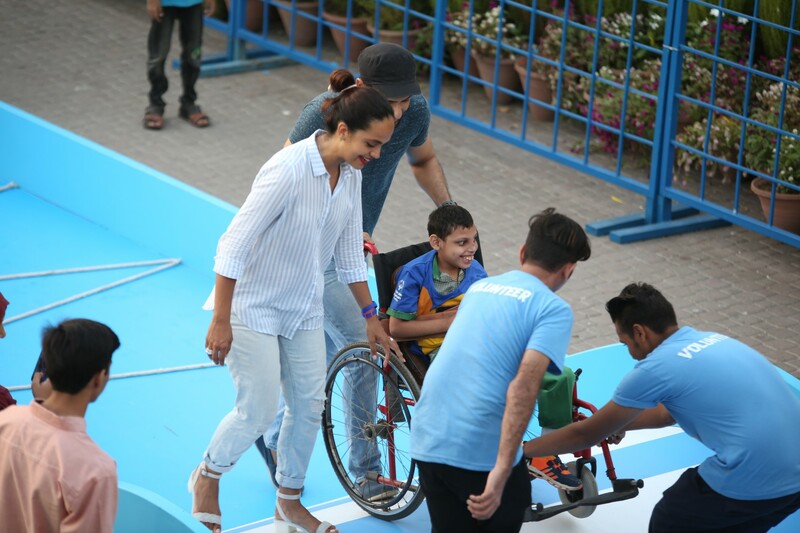 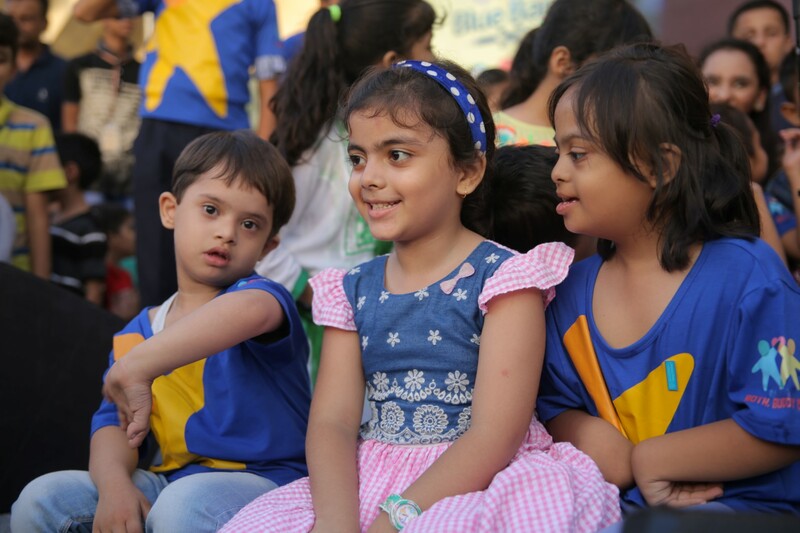 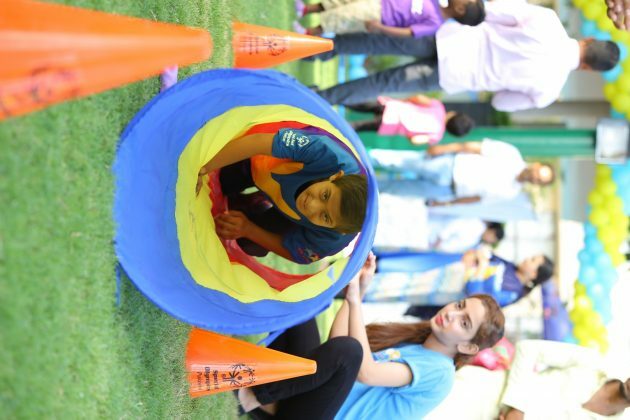 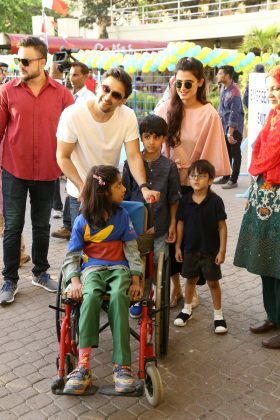 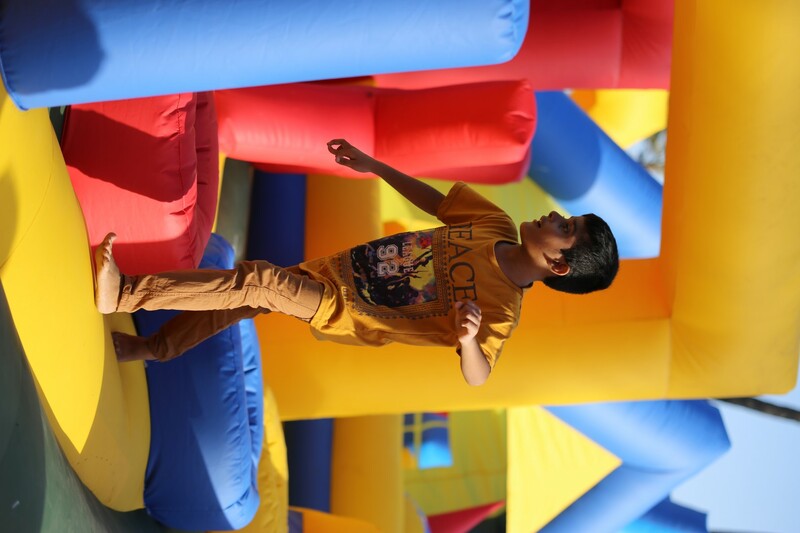 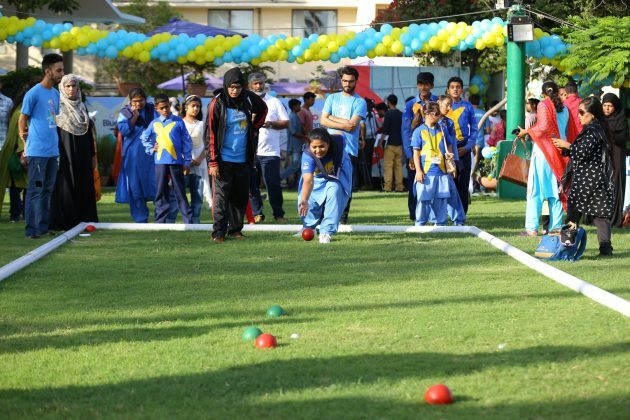 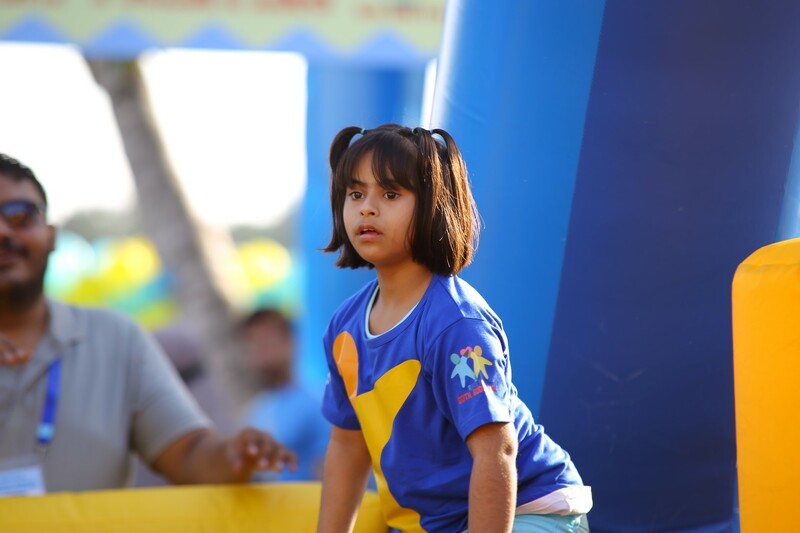 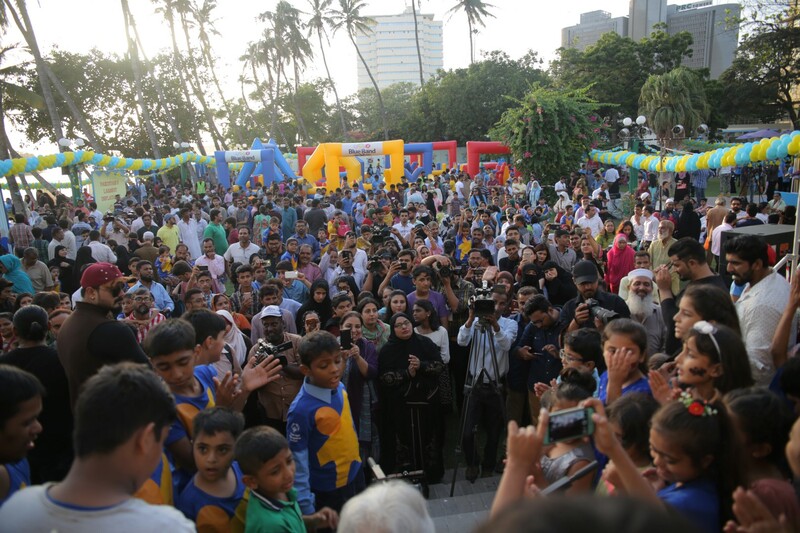 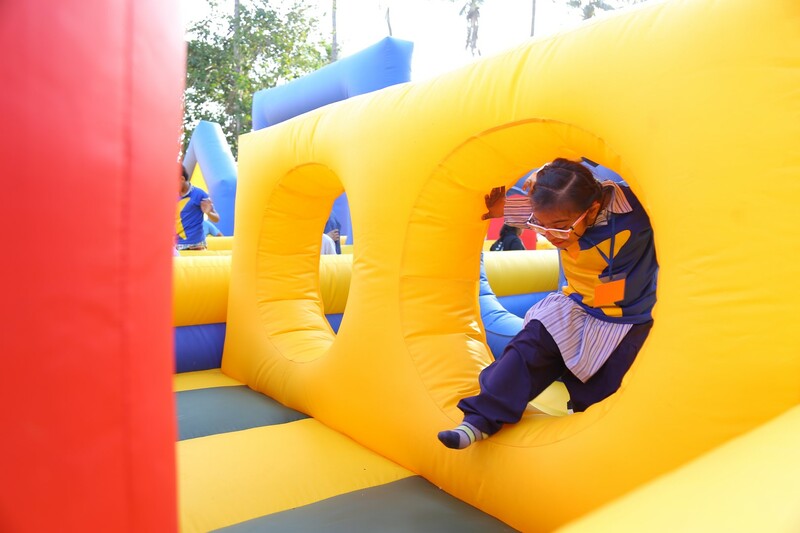 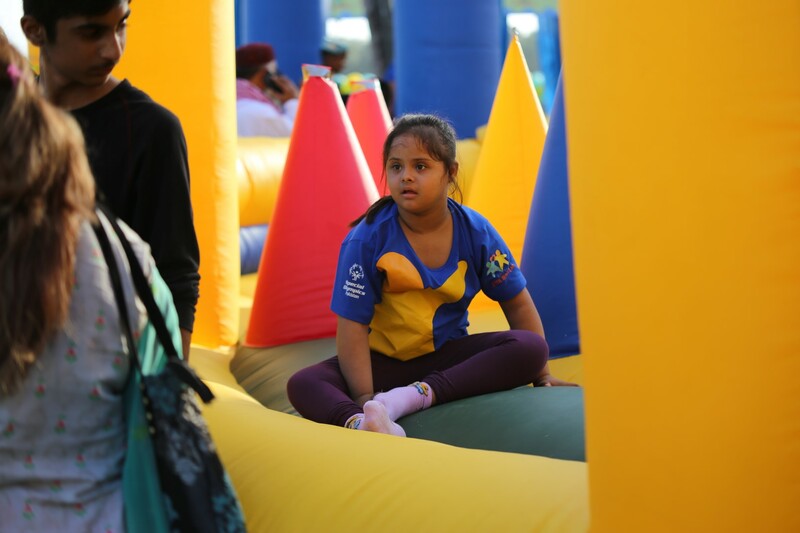 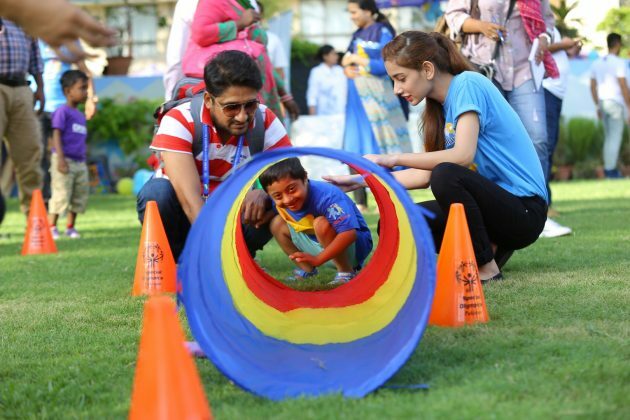 This event revolved around differently-abled children and other children participating in a race by teaming up with each other. 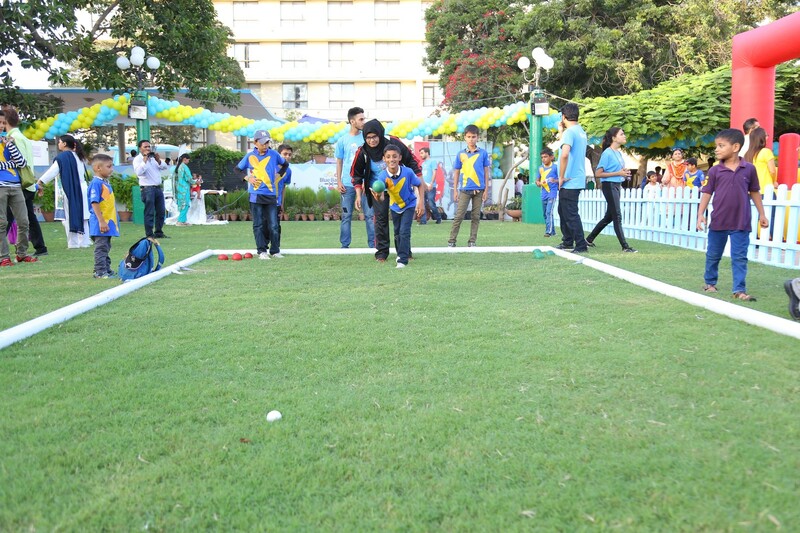 This not only increased empathy between the two team members but also made for an exciting and progressive event. 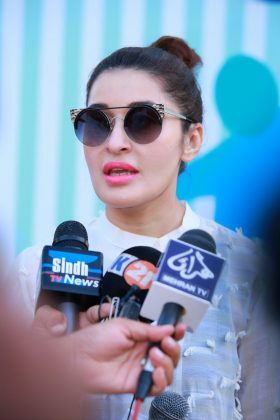 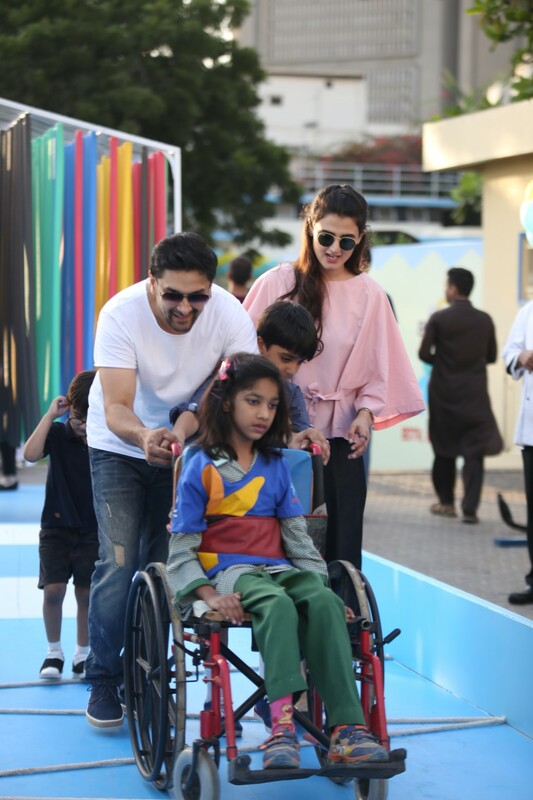 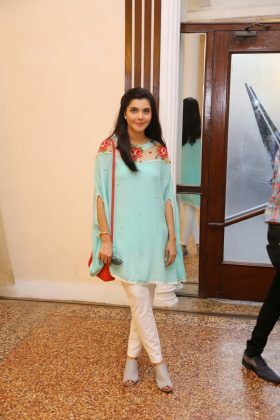 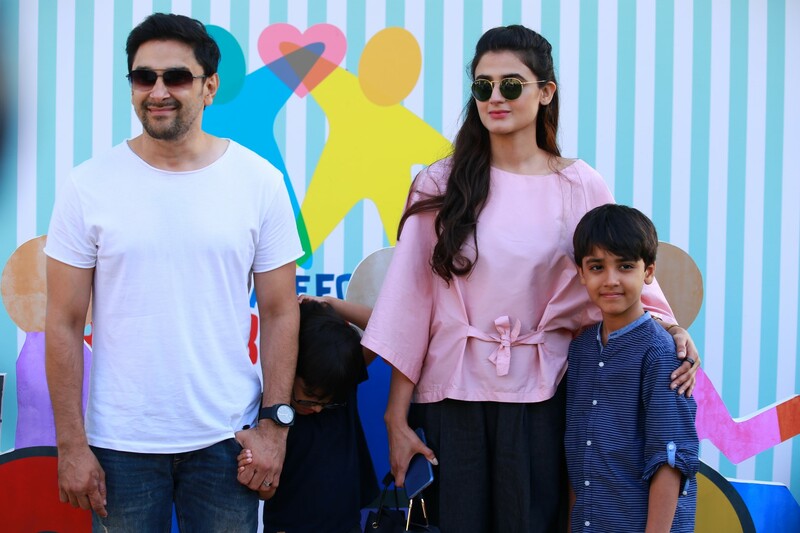 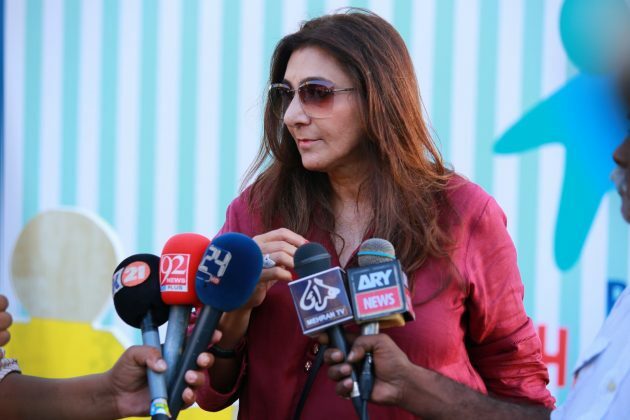 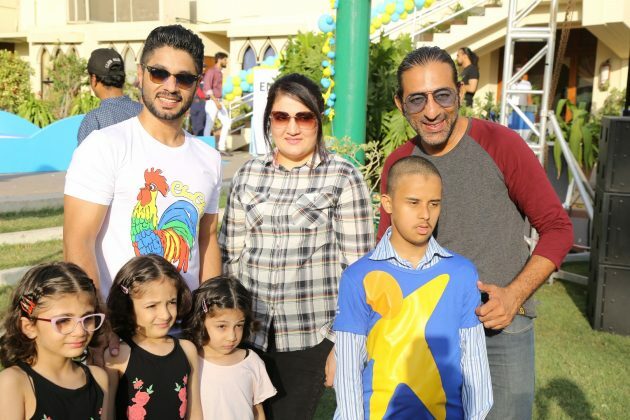 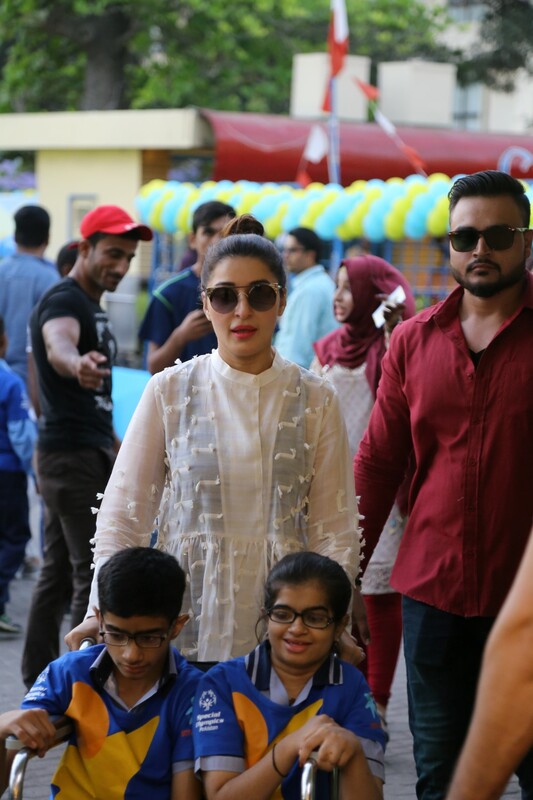 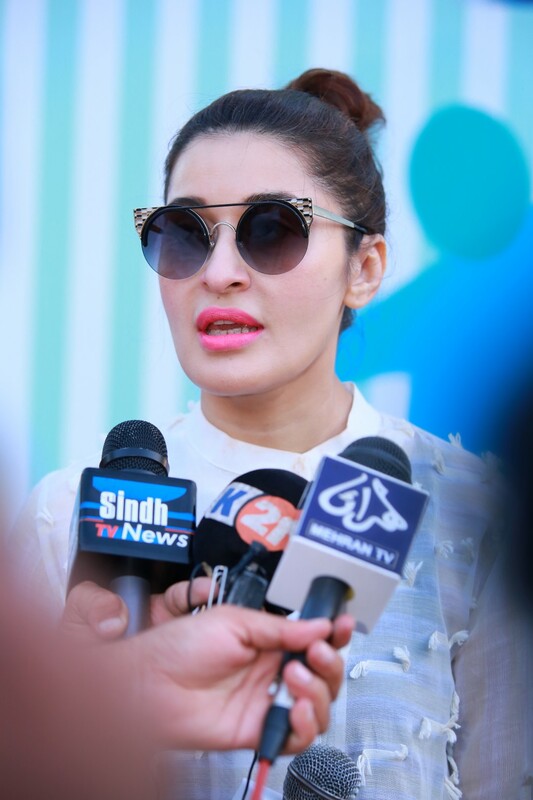 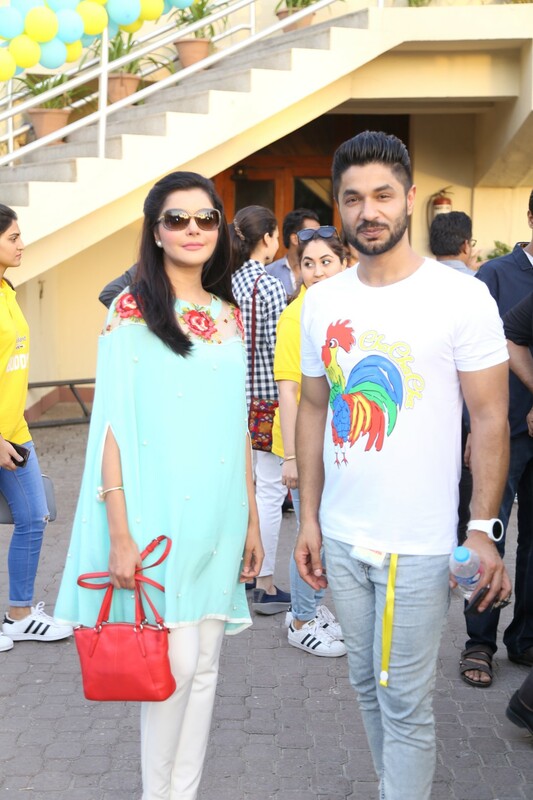 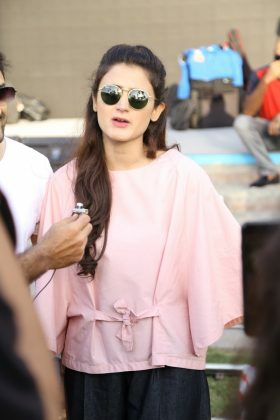 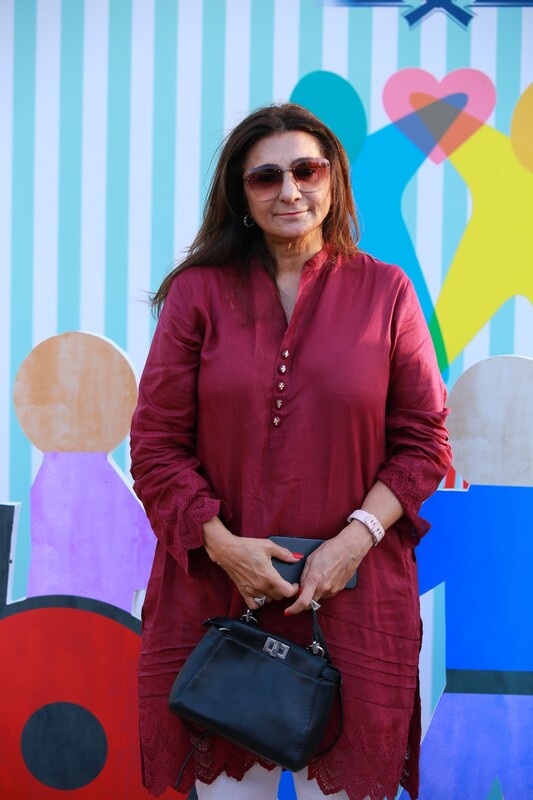 Founder Special Olympics Pakistan Ronak Lakhani was also present at the event and put forward, ‘This event has been a step towards spreading awareness. It helped us celebrate inclusion and spread the goodness. 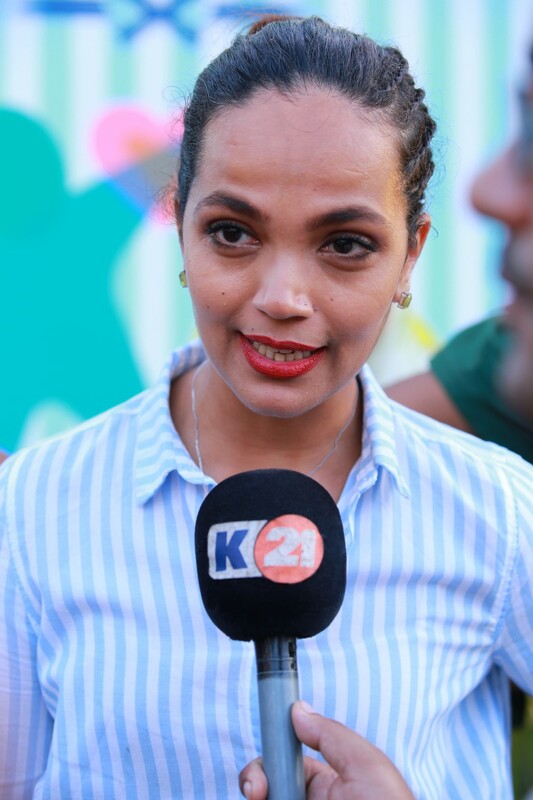 Achai Barhnay Do.’ Apart from the founder Special Olympics and the team of Unilever, several celebrities also graced the event with their presence. 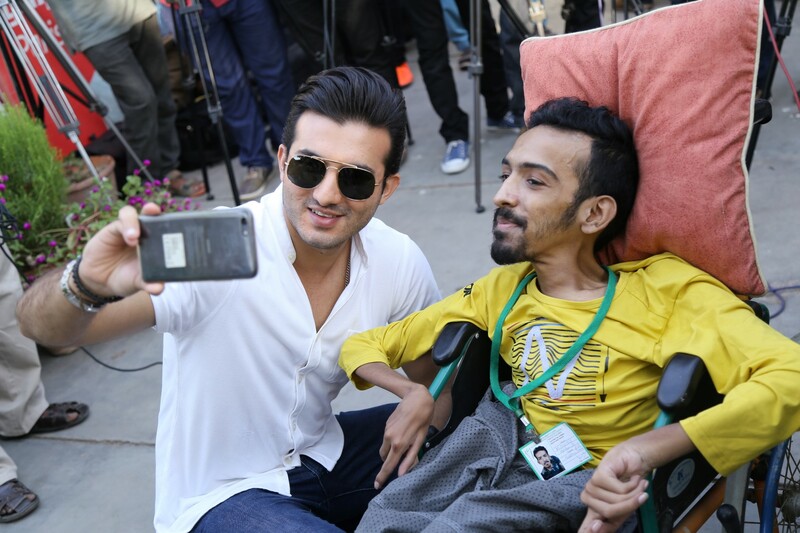 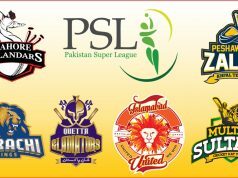 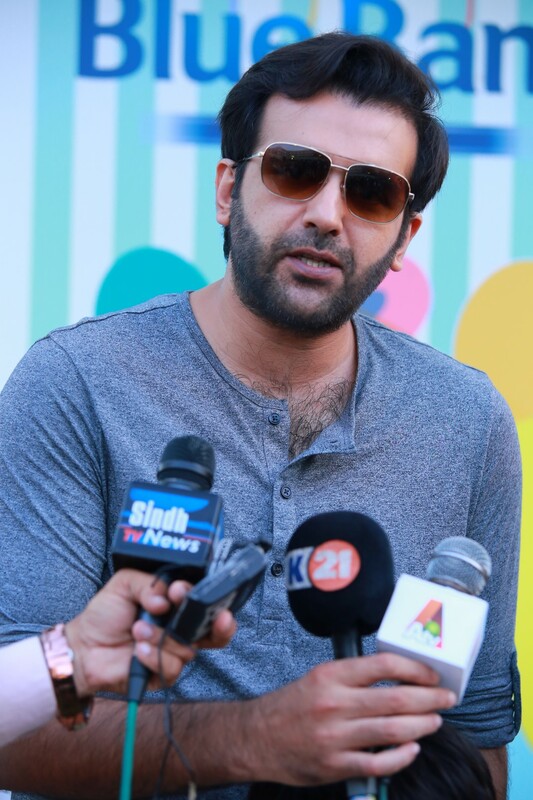 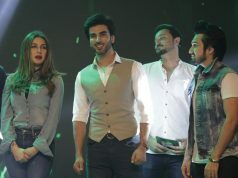 These celebrities included Shahroz Sabzwari with wife Syra Shahroz, Mohib Mirza with wife Aamina Sheikh, Mani and Hira, Faysal Qureshi, Zhalay Sarhadi, Adnan Tipu Shah, Shahista Lodhi and her contemporary Nida Yasir, YBQ, Sunita Marshall with husband Hassan Ahmed and several more. 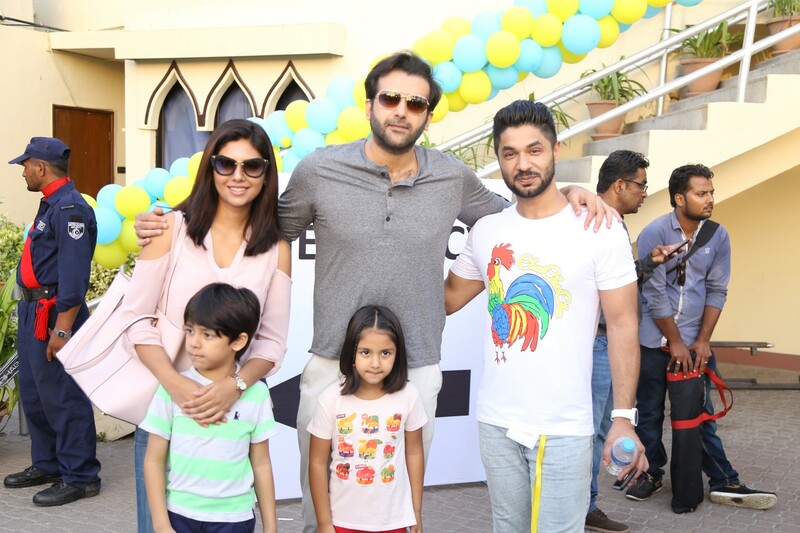 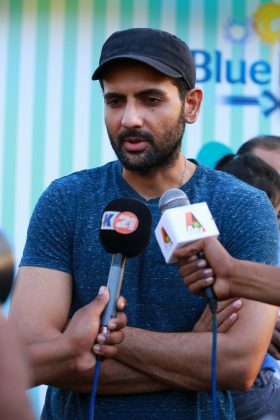 The event organized by BodyBeat Productions was not just about the race that happened. 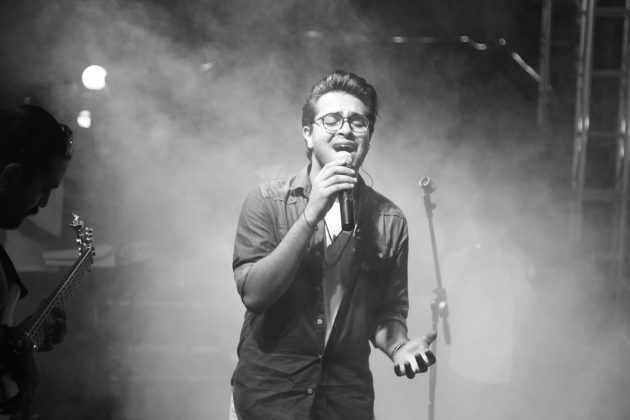 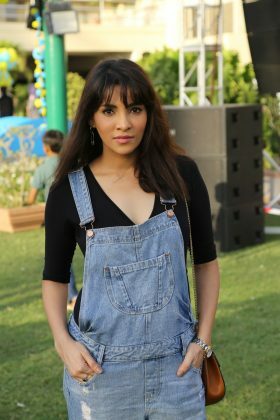 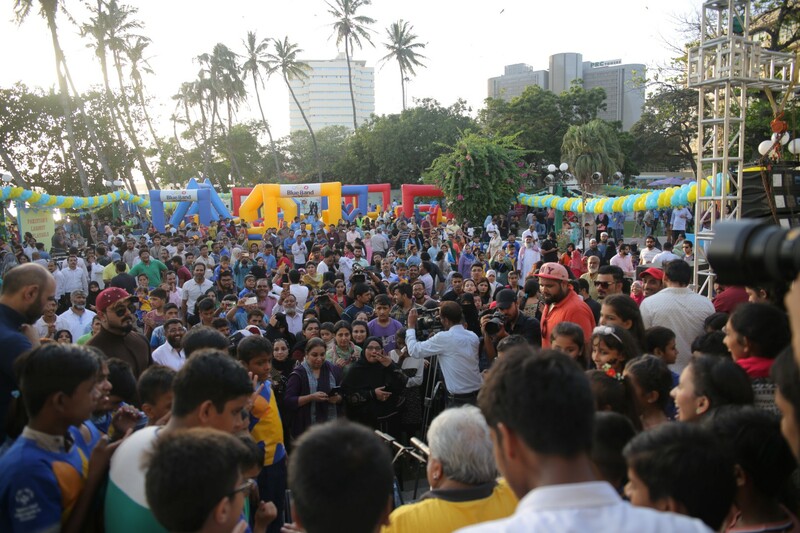 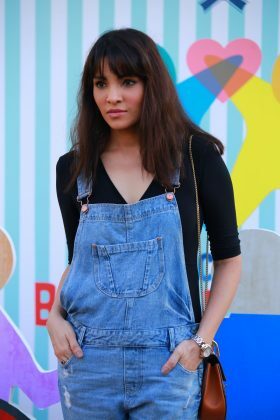 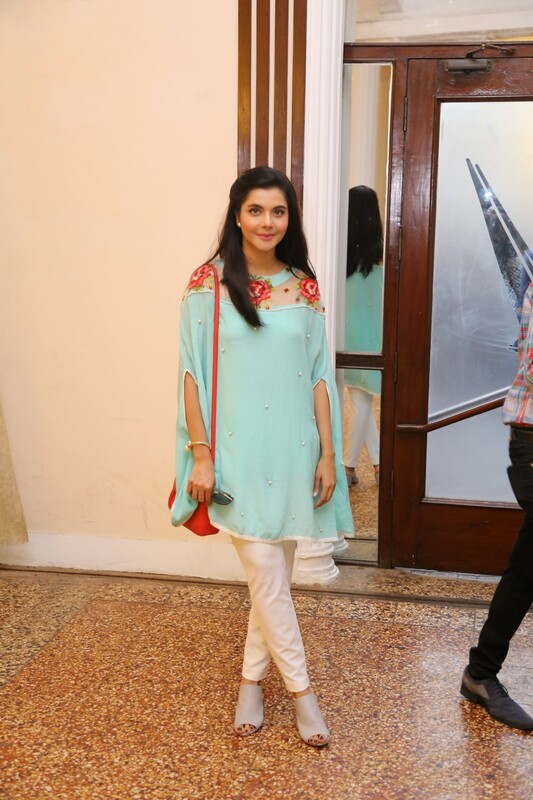 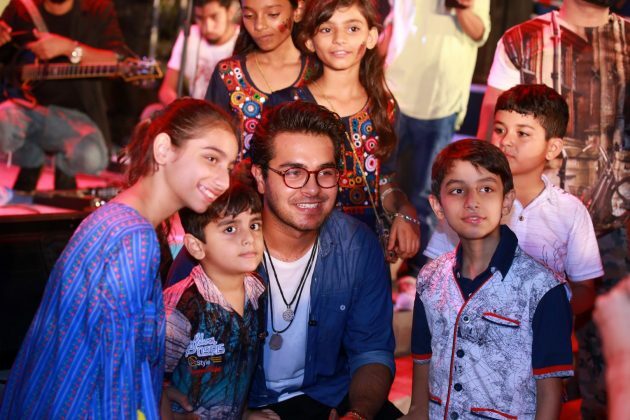 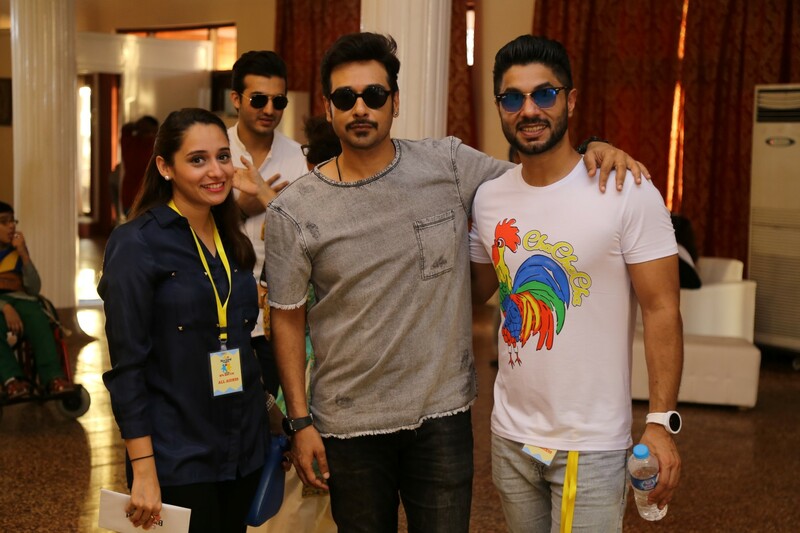 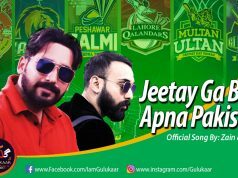 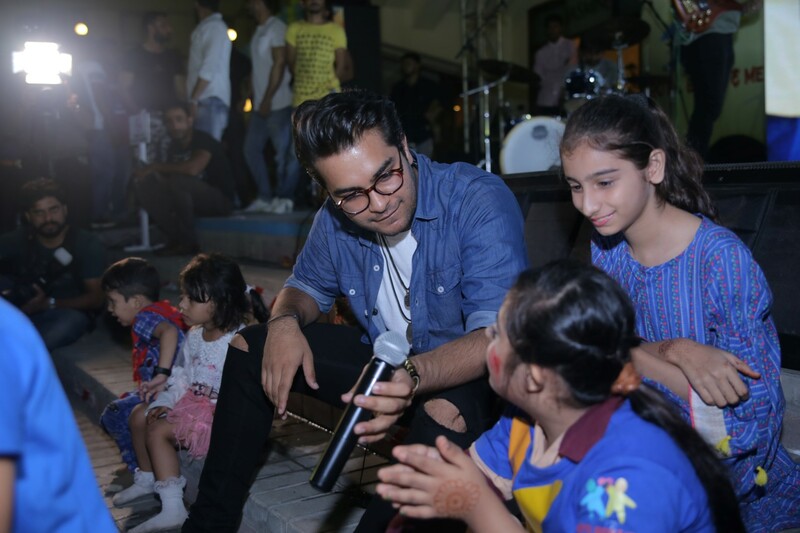 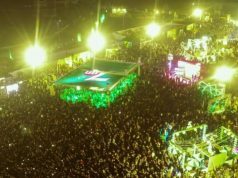 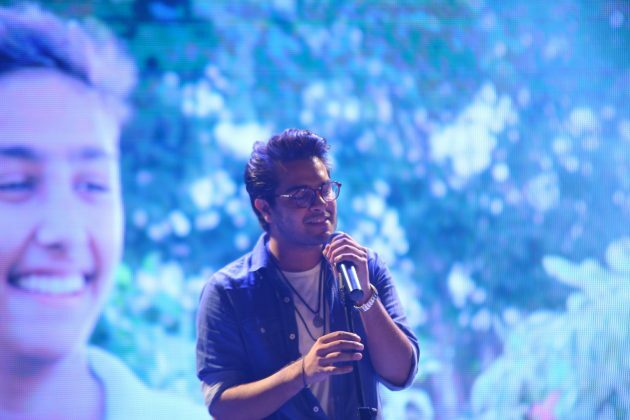 It also had special performances from stars like Khaled Anam and Asim Azhar. 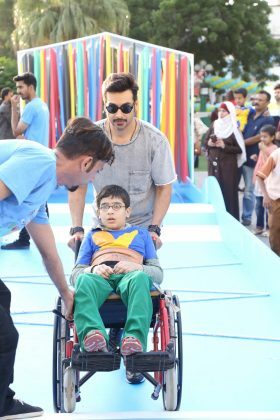 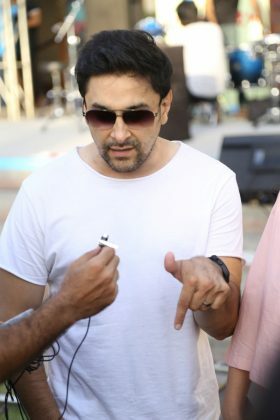 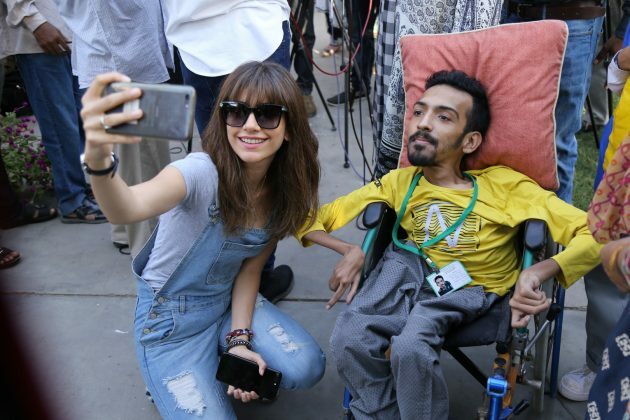 Hosted by Faizan Haqque, the event was an absolute success in bringing forward the idea of inclusion as far as the differently-abled are concerned and Blue Band, along with the Special Olympics Team have actively played their part in taking the young Pakistani mind into a better direction.